Plug USB hub into a free USB port on the Pi. Plug power cable into powered USB hub. 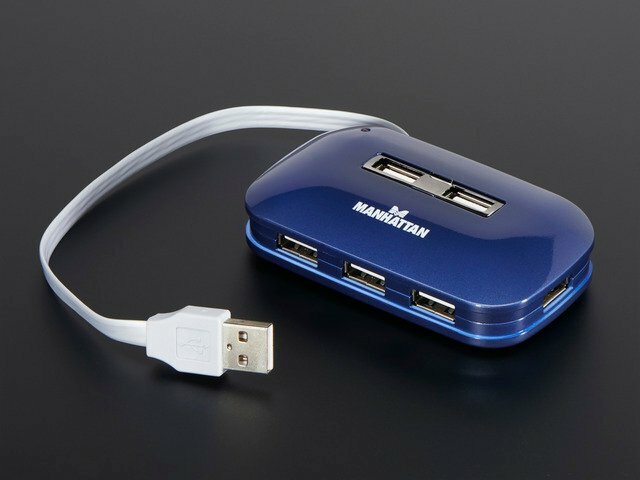 Plug external drive into USB hub. In the case where you're using a USB thumb drive, you can likely just plug right into the Pi. The line Bus 001 Device 005: ID 0bc2:ab24 Seagate RSS LLC looks promising. You'll likely see something similar, although the device isn't guaranteed to have a manufacturer string. Your output will probably look a little different, but unless you have another USB drive plugged in, your drive is almost certain to be /dev/sda. Once you know what drive to target, you can use a helper script we've written called adafruit-pi-externalroot-helper. The source for this script can be found here on GitHub. Want to use our packages? Check out this guide to using the Adafruit Raspberry Pi package repository. You'll be prompted to continue - double-check that the script is pointed at the right drive, and press y to continue. It first creates a new filesystem on the target drive and copies everything on your root filesystem there using rsync. Lastly, it alters the kernel boot parameters in /boot/cmdline.txt and modifies a file called /etc/fstab to stop mounting the old root partition on the SD card. adafruit-pi-externalroot-helper WILL destroy the existing contents of its target drive - make sure you want to proceed here! Once your Pi boots, you can log in like normal and try a couple of commands. If for some reason your Pi doesn't boot, you can restore things by opening the first partition on the SD card from another machine (Windows or OS X will work just fine) and editing cmdline.txt. Put the card back into the Pi, and it should boot like normal. This guide was first published on Apr 13, 2015. It was last updated on Apr 13, 2015. This page (Configuring the Drive) was last updated on Apr 24, 2019.